The Wizards finished the month of December with a 10-5 record and the momentum on their side heading into the New Year. It felt like a Texas Two Step against the Rockets and Mavericks in as many nights would be a good test for the Wizards as they’d see how they fared against one of the NBA’s best in the Houston Rockets and one of the league’s worst in the Dallas Mavericks. Washington flunked that test, dropping both games on the road. Winning on the road remains a big issue for this team. Washington is currently 3-12 on the road this season, tied with Philadelphia 76ers for the second-fewest road wins in the NBA. Their best road win to date came against the Bulls, a team currently under .500, on December 21st. If the Wizards are going to completely turn this ship around, they’ve got to start winning some of these road games. 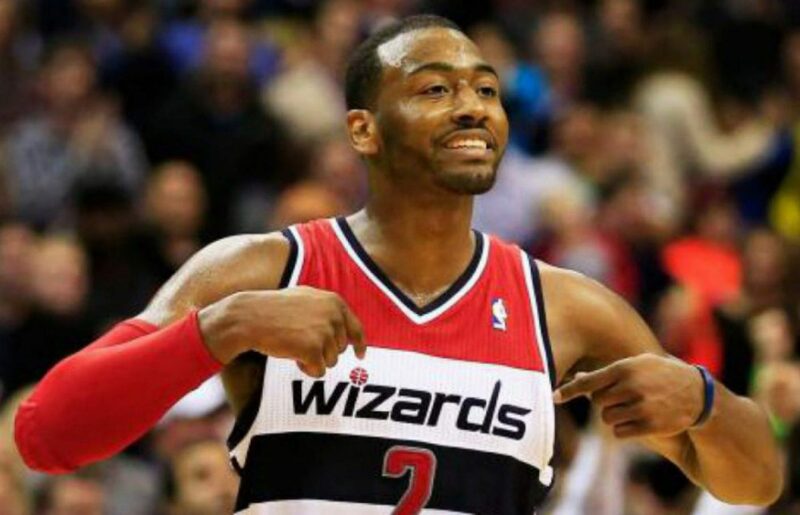 In the 2013-14 season when the Wizards reached the playoffs for the first time in the John Wall era, the team went an impressive 22-19 away from Verizon Center. During Paul Pierce’s one season with Washington, the Wizards dipped to 17-24 on the road, and they went 19-22 last season. At their current rate, the Wizards are on pace to go 8-33 on the road this season. There have been a couple of things holding the Wizards back on the road this season. The first one is injuries. After coming off of double-knee surgery, Wall was on a pitch count early in the season that included sitting out the second half of back-to-backs which just so happened to be on the road. During Wall’s absence, the Wizards lost in Orlando and at Chicago in a game that wasn’t as close as the final score indicated. The experiment ended later that month when Scott Brooks tried to have it both ways in a game against the 76ers in Philadelphia. If you remember, Brooks tried monitoring Wall’s minutes at first, only to re-insert him late in the game when it looked like the Wizards had a punchers chance. They ended up losing that game. It’s also worth noting that Bradley Beal missed that game in Chicago as well as the one in Philadelphia. Not that this is breaking news, but we all know that this team is going to struggle mightily if Wall and Beal aren’t on the court. Things haven’t been a lost cause, though. The Wizards hung tough with the Spurs in San Antonio in a game that would have gone into overtime had Kawhi Leonard not hit a shot with just seconds remaining in the game. Washington also had a chance to knock off the Grizzles and Thunder on the road but Marc Gasol and Russell Westbrook respectively had other ideas as the two would hit late shots to force overtime and then steamroll the Wizards in overtime. Four of these 12 losses have come in road games which fall on the second half of a back-to-back but all of those were winnable games (Orlando, Chicago, Indiana, Dallas). The game at Indiana was the toughest of the bunch as the Wizards were coming off of arguably their best win of the season as the beat the Clippers the day prior. Of course, you can’t blame it on the schedulers though as all NBA teams have road games in the second half of back-to-backs. So where’s the gap? There have been many times where the Wizards defense does not pass the eye test but the team actually has a better defensive rating on the road than at home. The offense is the main culprit here. The core of Wall, Beal, and Porter have eFG% that are respectively 4.4, 5, and 9.7 percentage points worse on the road than at home. Surprisingly, Morris is 4.2 percentage points better on the road and Gortat is 0.8 percent better. This is likely thanks in part to Morris and Gortat getting lots of quality shots up during the games Wall and Beal missed earlier in the season. As for Porter, he still shoots an eFG% of 56.6 percent on the road but clearly enjoys the confines of the Verizon Center and seems to feed off the crowd the most as that number skyrockets to 66.3 percent at home. Yes, the team is already asking a lot from that trio, but it looks like that’s where the biggest drop-off is occurring (we’re not even going to mention the bench here). The Wizards have cleared the first hurdle in that they’ve shown they can string together wins over an extended period of time. The next obstacle to overcome is winning on the road. They’ve still got 26 games left away from Washington, including two in Boston, two in Charlotte, one in Cleveland, one in Toronto, and several against Western foes including the Warriors, Clippers and Jazz. As bad as they’ve been on the road so far, it could get a lot worse if they don’t start turning it around soon. Next postWall dishes out 18 assists as the Wizards get a much needed win.